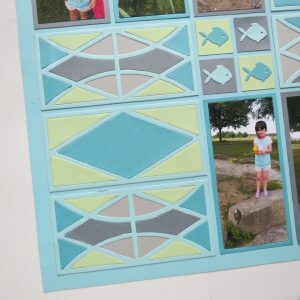 The Harlequin Die set is a pair of dies that will allow you to create some interesting design patterns to fill your scrapbook layouts. 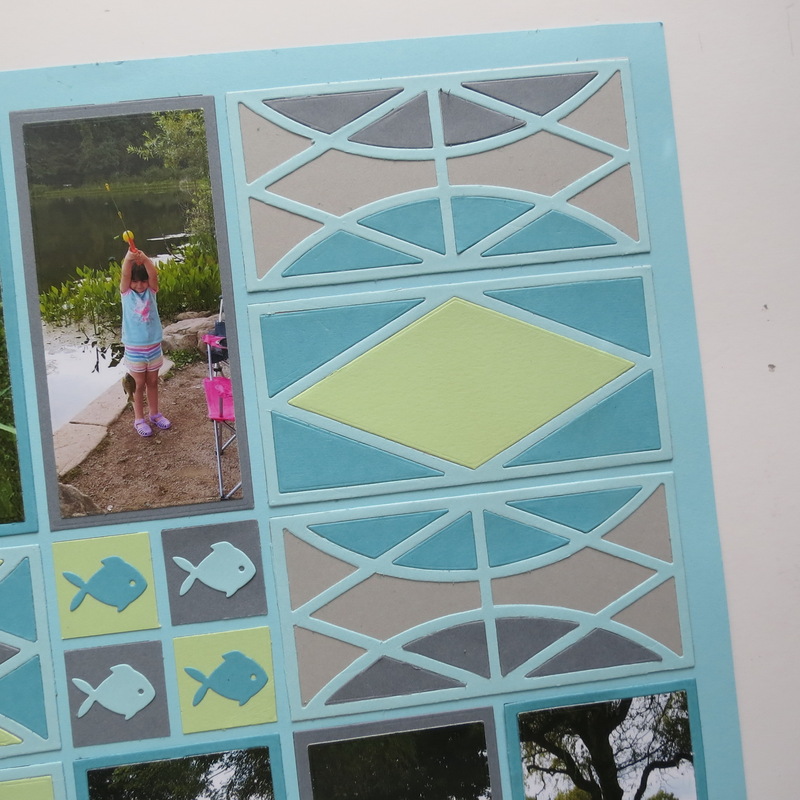 I decided to design with dies in the vertical sections of Pattern #346 and add the photos cut using the new layering dies and Die Set B for the mats in the horizontal sections. The Sky Blue 12×12 Mosaic Moments Grid paper made a nice backdrop and a soothing color pallet for the die design. 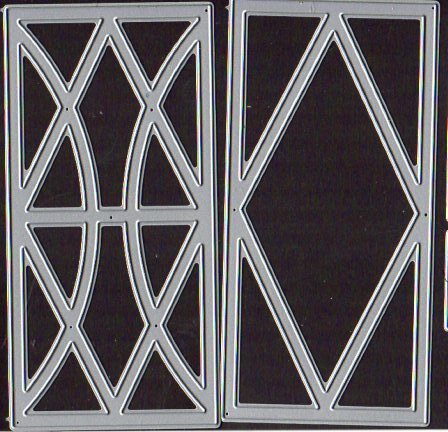 By cutting the die sections from several cardstock colors I have some choices for creating a pattern. 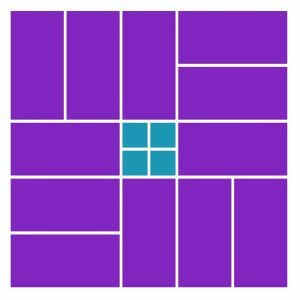 I’ve used two different arrangements of the tiles in each section with the same colors and getting two different looks. 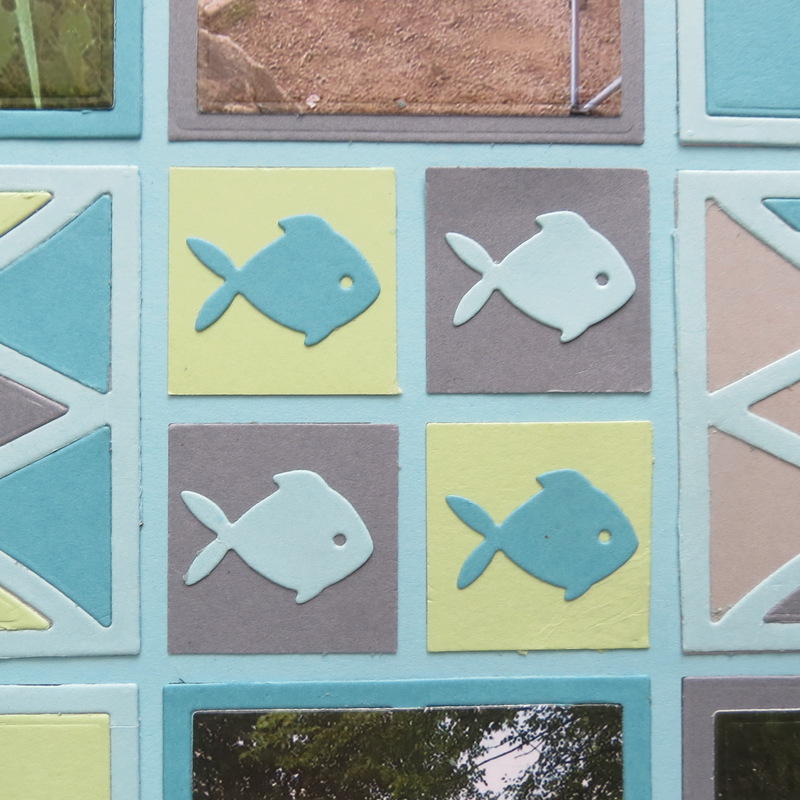 In the center 4- 1” squares the same colors are used and I’ve cut with the fishy die to get 2 different colored fish for this center section. 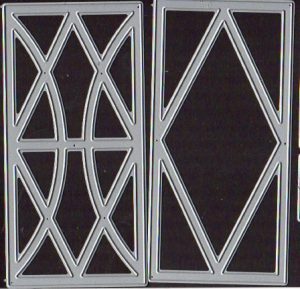 This color pattern allows a bridge between the two die pattern sections that your eye follows from one side to the next. 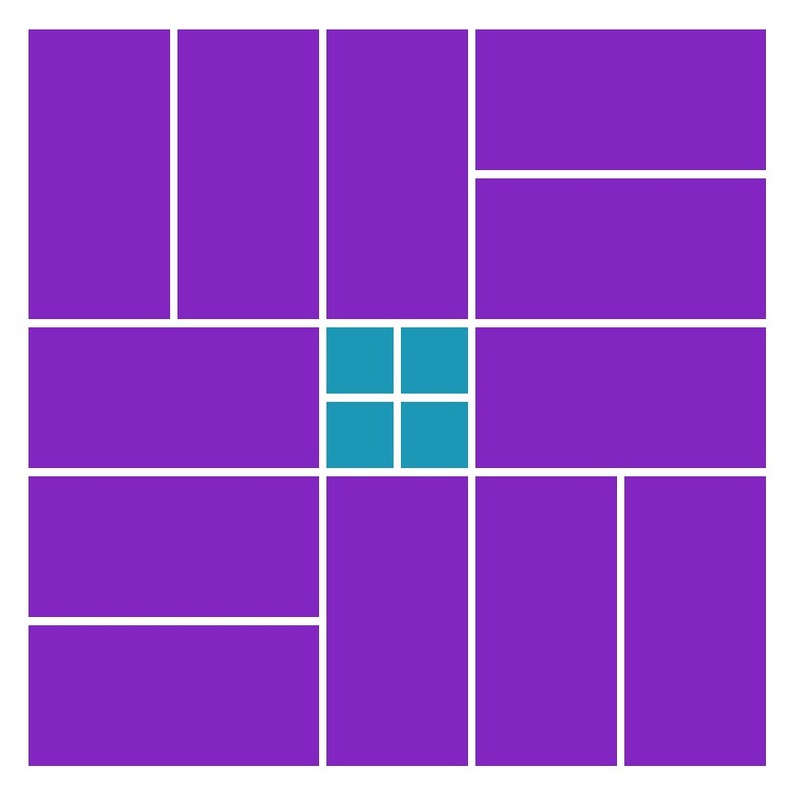 I chose to mat the photos and use a narrow layer on the base giving a little more separation from each individual photos I’ve used instead of it being one photo divided. I really wanted to get as many of the photos of her catch as possible. This has been the year that a new fisher emerged. Tony and Emmi headed out on a father-daughter fishing date and Emmi really enjoyed herself. Their first time out she caught 10 and Tony 5. She was so excited! The next fishing trip out she still caught more than daddy, got closer to the fish this time and settled into fishing barefooted. For now, they catch and release, but one day, she just might have to learn how to clean them and eat them! 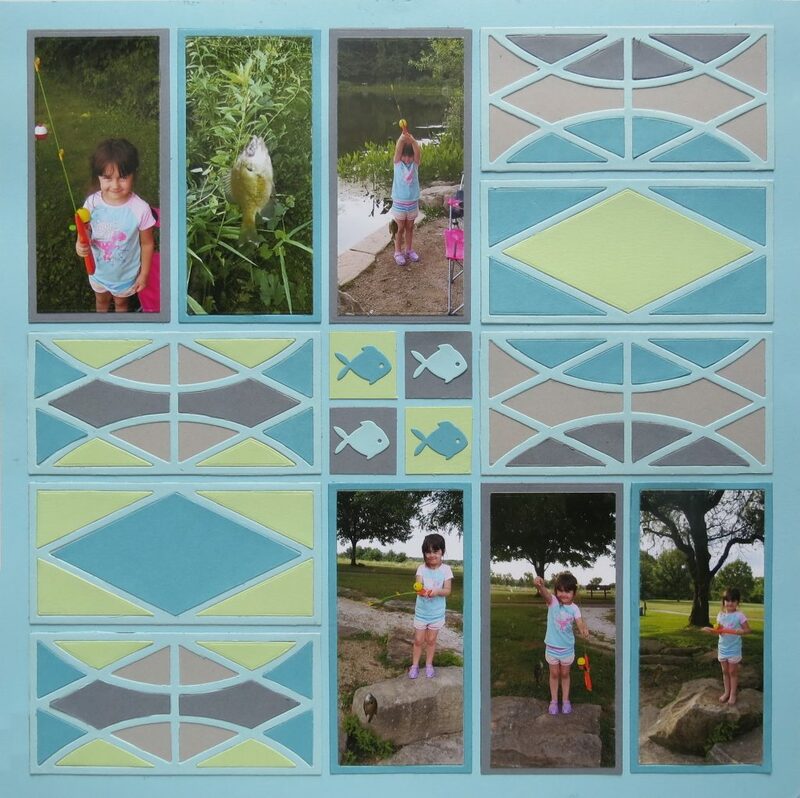 I haven’t included any titles or journaling on this page as I still have more photos from “fishin’ trip two” that I want to work on where there will be plenty space for that in a continuing series of this summer’s fishing trips. 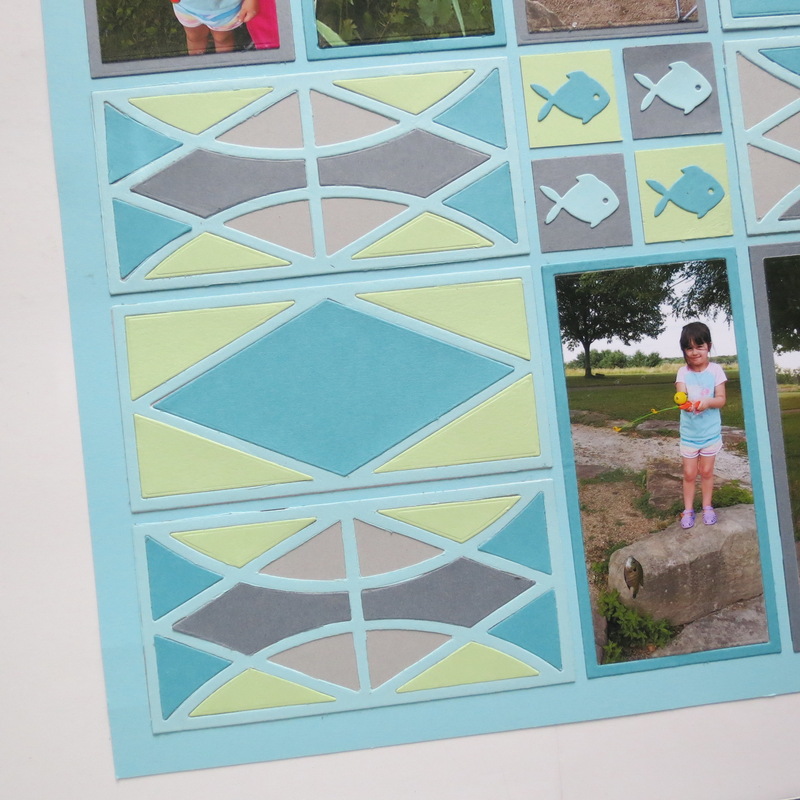 Perhaps you have a series of events from the summer that you’d like to scrap and use one set of dies to tie them all together. By varying colors and patterns you can really have a finished product to enjoy. 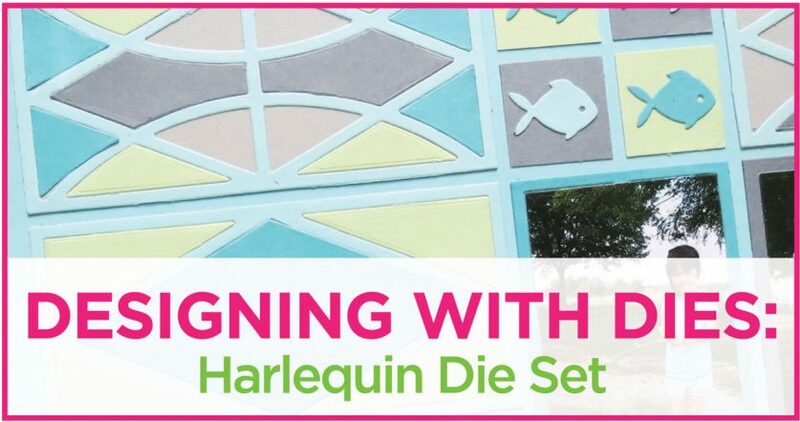 You just might like to try the Harlequin Die Set for that project!